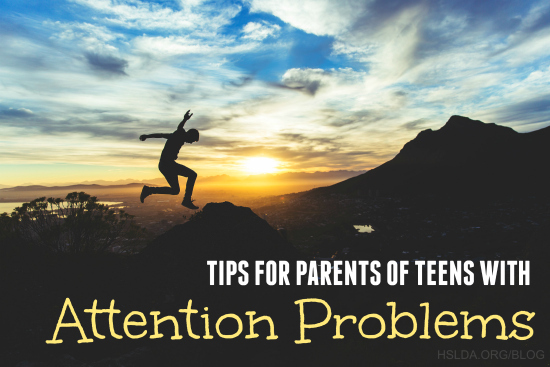 Is your teen disorganized? Does your highschooler have difficulty staying on task? Do you find yourself teaching the same content over and over because it just doesn’t’ stick’? Are you concerned because your soon to be high school student remains very disorganized and distracted? You are not alone. Some time ago, I wrote an e-newsletter addressing these concerns. The advice is so practical and helpful, that I thought it would be a good idea to share the content with our blogging friends. To read the entire article, you can click here. First of all, it is important to know how your teen learns best and use this knowledge as you plan your teen’s schooling. This is a unique advantage of homeschooling—you can provide your student with a truly individualized education. Although students with attention deficits are not all alike in their learning styles, many may learn spatially (by seeing) and kinesthetically (by doing). They may have a more creative, intuitive style of learning and find enjoyment in discovering their own way of solving a problem. Nevertheless, these students also need to learn to generate work that is sequential and logical, which proves to be very difficult for them. According to Chris Dendy, author of Teaching Teens with ADD, ADHD and Executive Function Deficits, students with ADD or ADHD often need more hands-on activities that incorporate visual cues to master challenging academics such as math or writing essays or book reports. Take note of these practical strategies to incorporate in your homeschool daily routine. These will enhance your teen’s learning experience no matter what subject you’re teaching. 1. MODEL SKILLS FOR YOUR STUDENT. Students with attention deficits are often visual learners, so they need to see concepts illustrated as well as hear a verbal explanation. White boards, chalkboards, poster boards and paper can be used to add the needed visual component. 2. USE RIGHT BRAIN TEACHING STRATEGIES. Pictures, color and humor act as “glue” to help learning “stick” in the brain. As an example, a student can learn new vocabulary by drawing a humorous picture to illustrate each word. My children enjoyed using Vocabulary Cartoons by Sam Burchers to improve their vocabulary. 3. TEACH YOUR TEEN TO COLOR-CODE TEXTBOOKS. For example, for a history text, highlight all dates in blue, important people in purple, and main events in green. My daughter, who uses this method to help her remember important facts in her college classes, shared with me that this is the study tool that has been the most helpful to her. 4. MAKE USE OF A WEEKLY ASSIGNMENT BOOK. Each day’s assignments should be written out so that your student has a visual reminder of what needs to be done. 5. USE GRAPHIC ORGANIZERS. Graphic organizers are pre-printed reproducible blank forms that employ lines, circles, and boxes to organize information. Graphic organizers form a powerful visual picture of the information, and this allows the mind to discover patterns and relationships it may otherwise have missed. They can be used to structure writing projects, to help in problem-solving, decision-making, studying, planning research, and brainstorming. When I homeschooled my daughter who had focusing difficulties, we used a writing program called Writing Step by Step by Mary Lou Ward. It employed the use of graphic organizers and helped her to successfully organize, classify, and write down her thoughts. Provide your student with poster board and colored markers to create his own visual aid. When studying biology, a student may draw a human cell and use colors to differentiate the different parts of the cell. Use Desktop Helpers to provide a convenient reference to aid memory problems. These are available in a variety of topics such as math facts, punctuation rules, and state abbreviations.